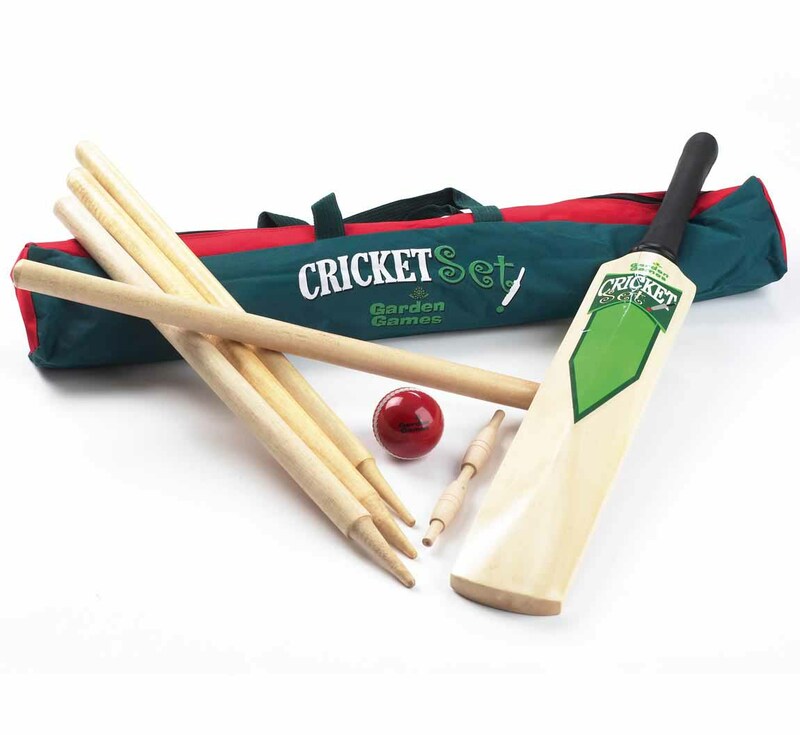 The Garden Cricket Set contains a size 5 wooden bat, 4 stumps, a bail and a rubber cricket ball. This is the perfect for a fun game or practise for young players. 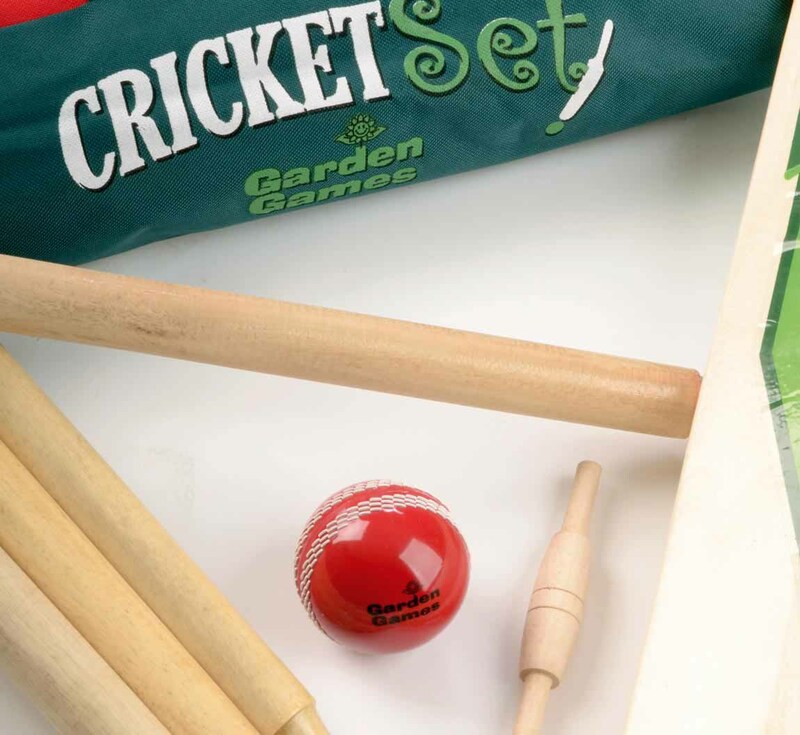 The cricket set comes contained in a zip close carry bag with convenient carry handles, making this the perfect game to play in the garden take to family events or on holiday. If you are new to the game or just having a bit of fun on the beach this set is perfect, simply put the cricket stumps in the ground and you are ready to play. This set can be used by players of all ages and abilities and the recommended player height for a size 5 bat is 4' 11" - 5' 2". Your children may have shown an interest in the sport, and this set is perfect for slightly older children to start playing and practising their cricket skills. Batter Height Recommendation: 4' 11" - 5' 2"